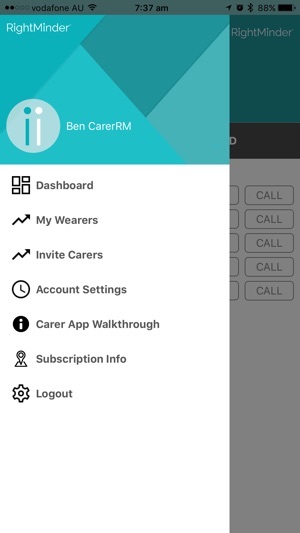 The RightMinder Carer Application is a FREE WORLD-FIRST, PATENT PENDING application for Aged & Young Care. 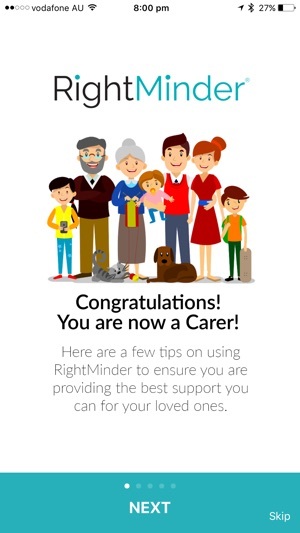 RightMinder can also be utilised by those with Multiple Sclerosis MS, Epilepsy, Parkinson’s, Brain-Trauma or other low to medium care needs. 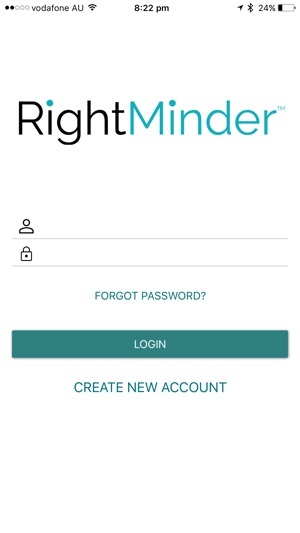 RightMinder® helps provide independence and discretion to people and provides multiple ‘First Alert" connections for loved ones in our lives. It provides peace of mind without being front of mind. Importantly, RightMinder ONLY works when securely connected to another person (one or many) registered as a user of RightMinder. One person must be a "Wearer" and another (or many others) a "Carer." The Standard RightMinder App allows you to Receive Fall Detection Alerts from Wearers and First Alert notifications. 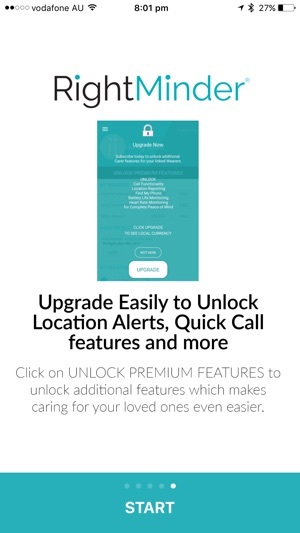 GPS reporting, Find My Wearer, Battery Life Monitoring and more is available to be unlocked by Monthly Subscription from within the app. 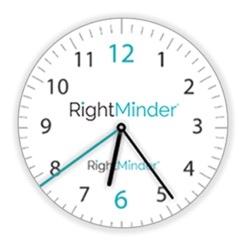 A RIGHTMINDER SUBSCRIPTION IS NOW FREE FOR ONE MONTH WHEN YOU SUBSCRIBE! By subscribing you will unlock Direct Call Functionality, Wearer GPS Location Reporting, "Find my Wearer", Battery Life Monitoring and other features yet to be released. Please check the application for the Subscription cost in your local currency. Payment will be charged to your iTunes account at confirmation of purchase. Subscription automatically renews unless the auto-renew is turned off at least 24 hours before the end of the current period. Subscriptions may be managed by the user and auto-renewal may be turned off by going to the user's Account Settings after purchase. Any unused portion of a free trial period, if offered, will be forfeited when the user purchases a subscription, where applicable.